We’ve got several exciting updates coming to WooCommerce Intuit Payments (formerly QBMS) to share with you, which should be available via your WooCommerce dashboard now! 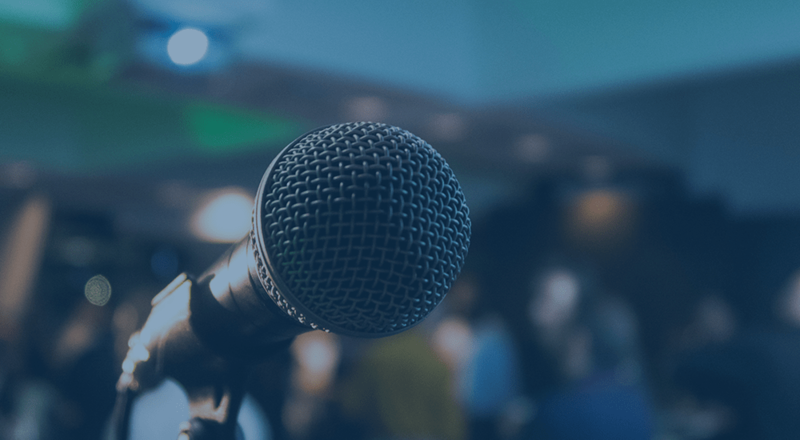 Version 2.0.0 brings some great enhancements to the existing QBMS gateway, along with adding a new Payments gateway as an option to harness the latest and greatest that QuickBooks has to offer. Not only that, this new update is fully tested and compatible with the upcoming WooCommerce 3.0! QBMS is now considered legacy but is still available for current users. 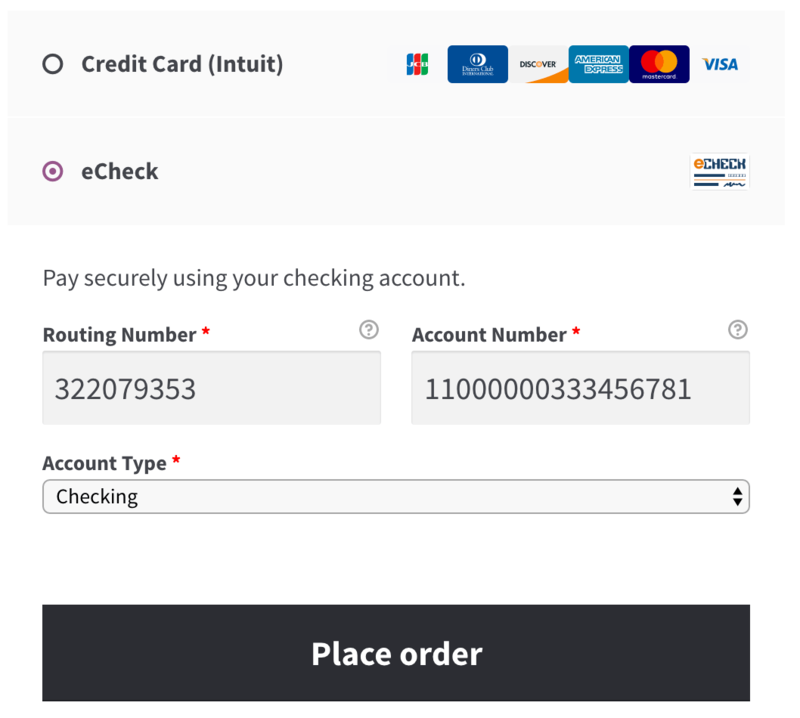 If you are currently accepting payments using QBMS then no extra configuration is required, and this updated version will simply bring you some great new features like the enhanced payment form and refund support. Additionally, QuickBooks does not offer a migration path for customer payment tokens between QBMS and the newer Payments API, so if you are currently using saved payment methods with QBMS, then you may not want to switch to the new gateway. However, if you are game for switching your merchant account, or you’re just getting started, you can switch to the Intuit Payments gateway from the “Plugins” list. QuickBooks Payments now uses oAuth to connect with your merchant account. Once you’ve created an app, you can add the relevant keys and connect using your merchant login details. 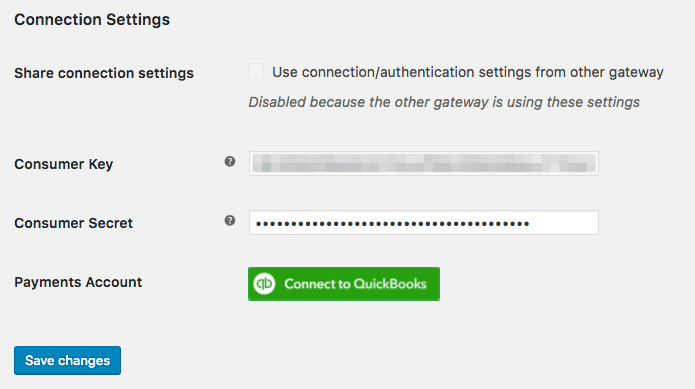 If you are using the Quickbooks Payments API, you’ll have access to a new eChecks gateway. 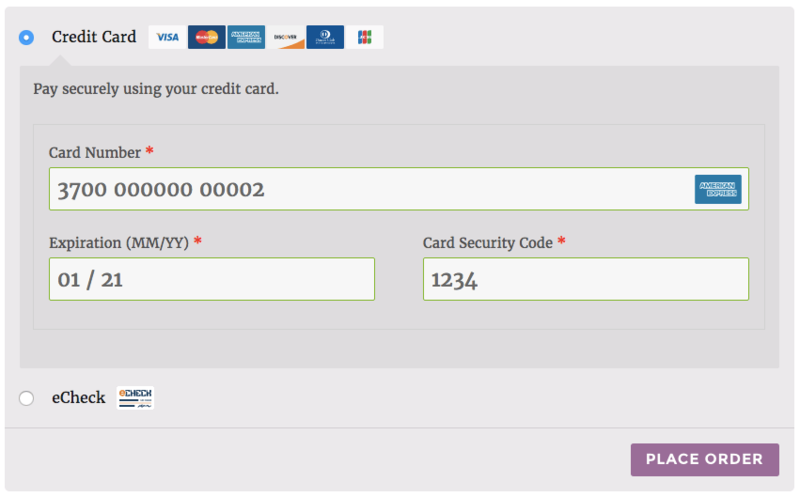 eChecks can be saved just like credit cards and used alongside Subscriptions & Pre-Orders. 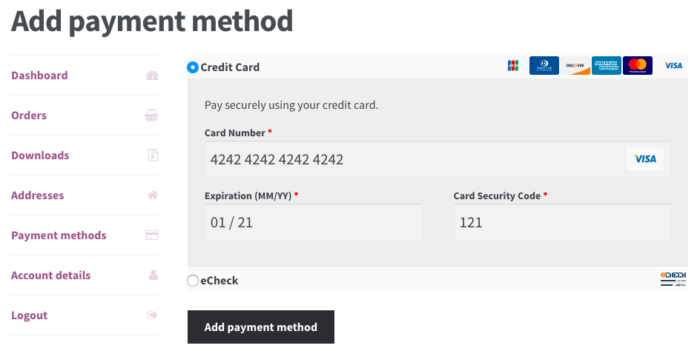 Since eChecks can be saved to use later, customers can also add them as a saved payment method for their site account. For many merchants, authorizations are typically useful when you want to only process a charge after an order has shipped to avoid processing refunds or voids if an order is modified / cancelled. However, if you also sell virtual or digital goods, this means that you don’t charge for these items immediately. Orders are typically placed on hold when authorized, so there’s no risk of customers getting access to digital goods they haven’t paid for yet, but this can mean they don’t see access for downloads immediately (which could cause customer service headaches for you). 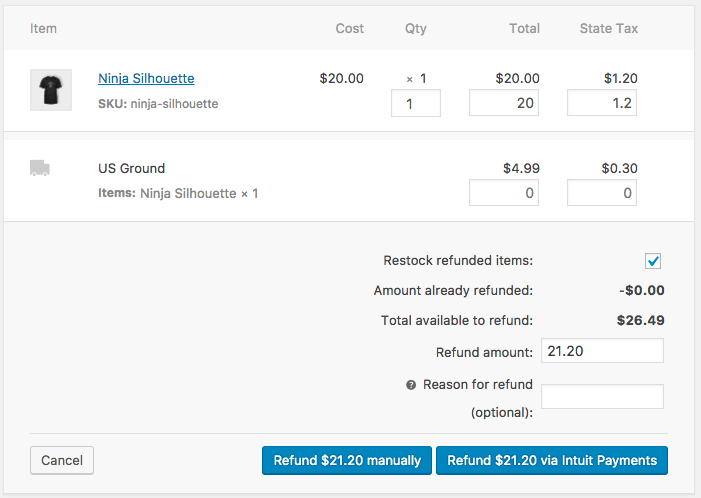 We’ve now added an option to both the QBMS and Payments gateways to force charges for orders if they only contain virtual items. 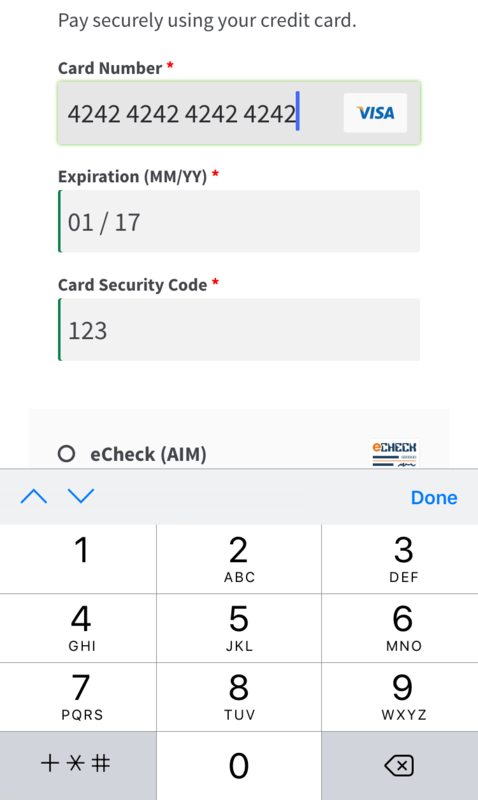 Both Payments & QBMS now support an enhanced payment form which provides a superior customer experience by using inline validation & automatic card type recognition. This great experience also makes its way to mobile devices so that customers on-the-go can input their payment details more easily. You can now refund or void transactions directly through the WooCommerce admin and have those actions reflected automatically in your merchant terminal. This feature is available for both gateways, whether you’re using QBMS or the new Payments API. Both the QBMS and Payments gateways allow customers to easily add and manage their saved payment methods from the My Account page, using the same fantastic enhanced payment form that they’re used to seeing at checkout. Ready to try it out? You can download the update from WooCommerce and read more about using the new features in our detailed plugin documentation. As always, if you run into any hiccups with upgrades or new features, we’re happy to help via the help desk.